Born at Paisley, Scotland around 1846, he came to Montreal with his parents. Moving to Winnipeg in 1871, he worked at several jobs, including at the post office until 1878 when he established the company that would later be known as Henderson Directories Limited. He published a directory of Winnipeg for 42 consecutive years, along with most of the larger cities of western Canada. Moving to Vancouver, British Columbia, he retired in August 1918. He and wife Jane Black (sister of Thomas Black) had four sons and three daughters: Leonard G. Henderson (b 1863), Charlotte Ellen Jessie Henderson (b 1875), James Selby Henderson (b 1878), Dora Cordelia Henderson (b 1880), Robert B. Henderson, Ethel Henderson (b 1886), Ferris Vivian Henderson (b 1893). He was the first Master of the Ancient Landmark Lodge of Masons at Winnipeg, founded in September 1872. 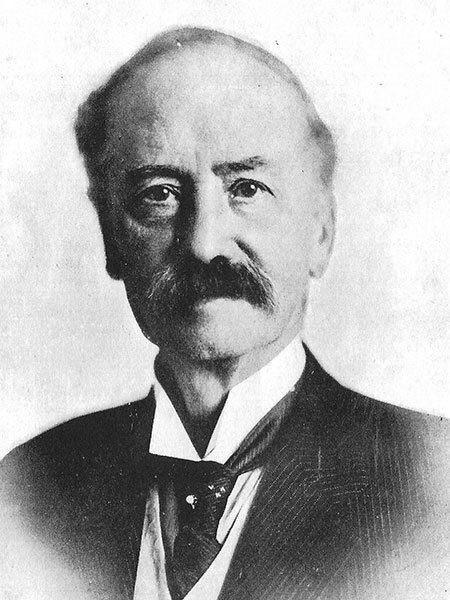 He served as Senior Grand Warden (1875) and Deputy Grand Master (1876-1877) of the Grand Lodge of Manitoba. He died in California on 10 October 1919 and was interred at Los Angeles. “James Henderson dies in California,” Winnipeg Tribune, 11 October 1919, page 1. “James Henderson dies at Los Angeles, Cal.,” Manitoba Free Press, 13 October 1919, page 5. Obituary, Manitoba Free Press, 13 October 1919, page 11.